It's Supportive Saturday again! This week I decided to go with a Frozen theme because it's everywhere right now lol. And who doesn't love Disney?! 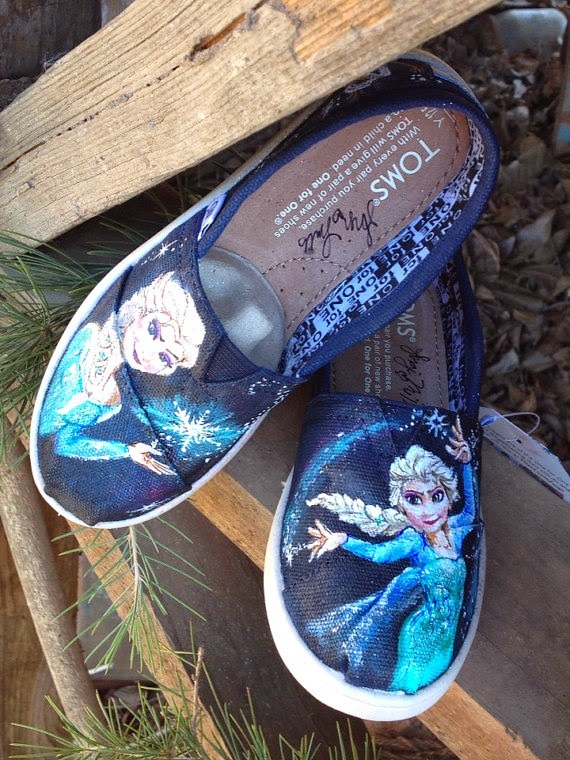 These custom-made Toms shoes are amazing! I'm so jealous of this artist's skills! The shoes can be found here but keep looking for different designs from TheEnchantedBrush. 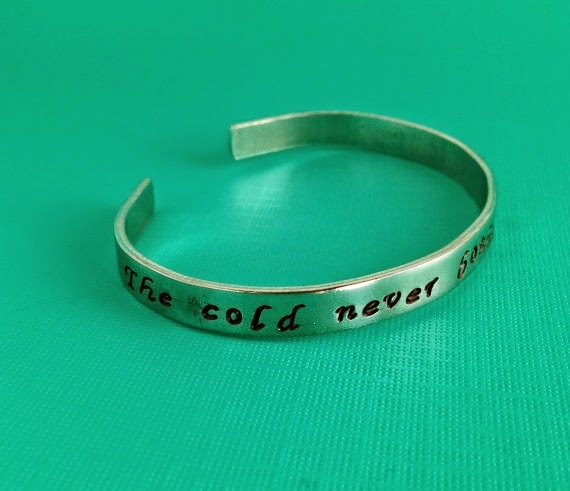 This bracelet features a quote from the movie. It is available from LaurenElaineDesigns. While there, check out several other hand-stamped jewelry. For a mom wanting to dress up at her daughter's bday party, this 100% high temperature fiber wig is perfect! 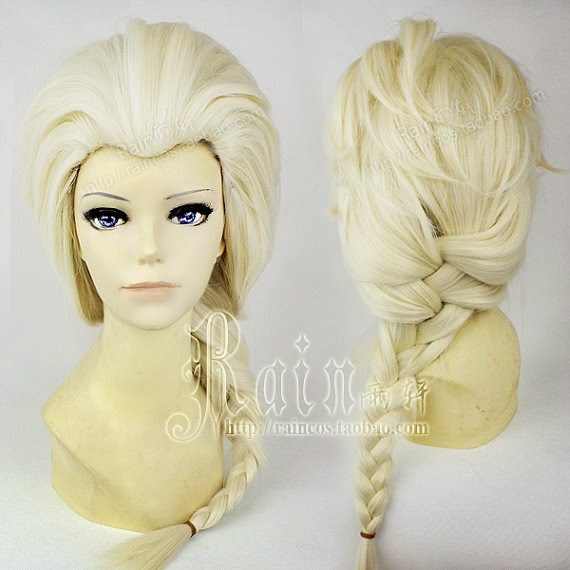 You can find it at the CosplayWigStore on Etsy. It ships from China, so don't wait until the last minute to order! 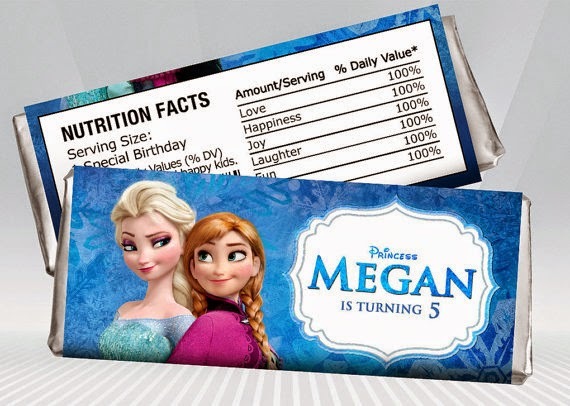 If you're getting ready to throw a birthday party, these Frozen Hershey Wrappers from DigiPartyShoppe are a cute idea! I would wear the heck out of those toms! I know right! Such amazing work. I love all these artists painting on Vans and Toms!